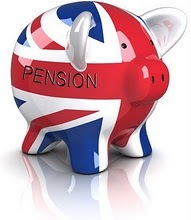 QNUPS, introduced by HMRC on the 15th of February 2010, stands for Qualifying Non-UK Pension Scheme and is an exciting new pension opportunity for British Expatriates. The QNUPS allows British Expatriates to save money on taxes in their country of residence, on UK inheritance tax, along with a number of other benefits. A QNUPS offers many benefits that were hitherto unfound in other pension plans and investment schemes. With a QNUPS there is no maximum age for investing, you can continue to place money in it for as long as you wish. Also, it is not necessary to pay contributions from employment-sourced income. With a QNUPS you are free from a maximum contribution limit. Such flexibility offers retirees the chance to gain considerable tax bonuses. For instance an 85 year old retiree of 25 years would be able to instantly plunge significant amounts of money into a QNUPS, which would then give the holder increased tax advantages. The QNUPS plan gives more scope for wealth preservation for retired British Expatriates than any previous pension scheme. QNUPS can be utilised by the holder to avoid taxes in various countries, such as wealth taxes and succession taxes, succession laws can also be bypassed via QNUPS, so any money that you leave can be distributed entirely by your own choosing with no red tape attached. Upon the advent of your passing your QNUPS value will be free from UK inheritance tax, even if you are domiciled to the country. A holder can begin to draw income from a QNUPS from the age of 55, or if you wish this can be deferred as there is no obligation to draw until 75. Some countries will also allow a large chunk to be paid free of tax. A QNUPS gives further benefits to its holder as assets and investments can be taken in any currency of your choosing. Your appointed trustees are free from any restrictions that may be imposed by HMRC; they will have no obligation to supply them with any reports or details, unless you have made transfers into the QNUPS from other UK pension plans. You are allowed to have both a QNUPS and a QROPS. Expat & Offshore can assist you in taking out a QNUPS by recommending a Financial Planner that specialises in pensions.